Nathan “Nate” Cinefro is a biomedical engineer at the Cincinnati VA Medical Center who created St. Margaret’s House to help those in need by providing safe and affordable housing to single mothers. “Pay it forward” has become a familiar phrase in the American vernacular. Showing some kindness or doing a good deed is especially appreciated in a world that displays a good amount of greed, narcissism and often seems void of empathy. There are people who need a safety net, a helping hand or some encouragement. They just need one opportunity to improve their lives. Some people answer God’s calling to show love and compassion to their fellow humans. It is those human qualities that can often provide a helping-hand when others can use it. Nathan “Nate” Cinefro is a biomedical engineer at the Cincinnati VA Medical Center. There was a point where Cinefro realized that he and his wife, Jessica, had the resources and the drive to answer this call and provide safe, affordable housing to single mothers and their families in the Cincinnati area. The answer to that calling was when St. Margaret’s House became a reality. “God has blessed us with a stable upbringing, loving families and the means to provide for the family we are creating. For those that are less fortunate, the stresses that come with the instability in a home life impacts the development of the child as they grow up into adults. Hamilton County, where Cincinnati is located, experiences a high poverty rate among children,” Cinefro says. “The factors leading to childhood poverty are numerous and mostly outside of my control. Yet it is within my power to use the talents God has given me to help one of the factors impacting these children; housing,” Cinefro says. He says that the impact of providing safe and affordable housing for these mothers transforms their lives. “They are able to move beyond crisis mode, and move up their hierarchy of needs to begin working toward long-term goals. The habits, patterns and lifestyle choices of poverty were not created overnight,” Cinefro says. Cinefro says that for some of these mothers their issues were created over generations and it takes time for them to establish different habits that lead to a new lifestyle. “For one of our mothers, this has meant finally going back to school, but in her case, she attends classes for a semester and then takes a break and then goes back for another semester. The stability in housing continues to facilitate this pursuit of higher education,” Cinefro adds. 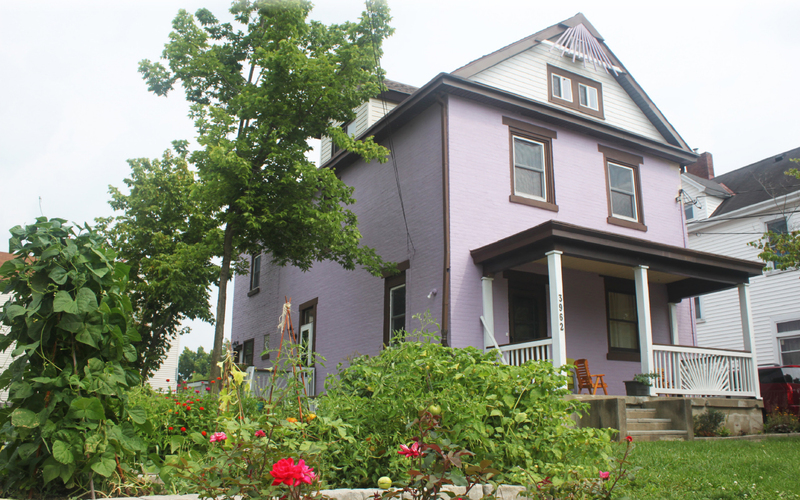 The home that is at the foundation of St. Margaret’s house was originally built in 1900 as a single-family home. Subsequent renovations converted the house to a three-family dwelling. When Cinefro and his wife purchased the home in 2014, it had already fallen into a state of disrepair. He worked the first year to renovate and update the house. The definition of “affordable housing” is housing that does not require a family to spend more than 30 percent of its income on housing and utility costs. St. Margaret’s house is designed to meet that standard. Cinefro quotes a housing affordability study done in his county that said that for every 100 of the lowest income households, there are only 28 units affordable and available. The need for affordable housing is very real. Cinefro says that one aspect that he strongly wanted to incorporate into the house was the sustainability of the business model. “The goal of the house was that the rents the mothers pay are sufficient to cover the expenses of the property. Yes, of course, it still took the initial financial capital we invested in the mission. But now, St. Margaret’s house is able to run without operational donations. Our dream was to show that if you remove the profit from the operation you can still provide good affordable housing,” he says. He says that for their efforts, they get something that is far more valuable than money. “We have relationships and transformational life encounters that change and shape us to become better servants of God, opening ourselves up to His plan for our lives. I would like to share a couple of grace-filled moments from our time with St. Margaret’s house,” Cinefro explains. “The first time was the day our first mother moved into the building. She had very few possessions and very little food. But she was happy because she had a home. The food they did have was a loaf of bread and jalapeños. They toasted the bread in the oven and all sat down on the floor in the living room enjoying jalapeño sandwiches … and they were deeply happy. It shows me the strength and the spirit that God has given us when we turn to Him in gratitude for the blessings in our lives. Focusing on, and enjoying the simple pleasures, we begin to see the deeper meaning and purpose of humanity,” Cinefro says. He says that the second story is about a picnic they had in the backyard. “The kids were running, playing on the swings and slide. The mothers were sharing stories about their kids’ current milestones. We gathered around makeshift tables and as I looked around at the meal. I saw the fellowship across races – black, white and Hispanic – and companionship in shared struggle. People moving beyond the aspects that divide us and instead sharing the joy of being with others,” Cinefro says. He says that it has been an honor and a gift to be included in the lives of these mothers. “Is the road always easy? No. Is the joy always there? No; but this is life and we are called to live life to the fullest. How do we fill up our lives? We are the ones who choose what to fill our lives with. I’m thankful that these mothers have chosen to be a part of my life,” Cinefro adds. With all he does with St. Margaret’s house, Cinefro also has his main vocation with the VA. He is involved with implementing healthcare technology, including clinical information systems, imaging modalities and PACS. He has been selected as the 2018 honoree BME of the year for the VHA and presented his VISN virtualization project at the 2018 VHA HTM conference. He holds a bachelor of science in BME from Marquette University and an MBA in information systems from Tennessee Tech University. He is also a busy family man with his wife and five kids and he can be seen biking around town in Norwood, Ohio. For some of the single moms in Cincinnati, he and his wife are also a Godsend. The first house is not the end of the story though. Cinefro and his wife have purchased a second property. It is a two-family structure and they have already remodeled one of the units and are at work on the second one. The first unit is already occupied by a mother, so their ministry is now helping four single moms.